Stroke is the 4th biggest killer in the UK but many people don’t realise just how common it is. What’s more, Public Health England figures now show that over a third of first-time Strokes (38%) happen in middle-aged adults. According to the Stroke Association, Stroke occurs approximately 100,000 times a year in the UK; that’s one every five minutes. As with most illnesses and medical conditions, we often don’t think it will happen to us. And especially not when we feel we’re otherwise fit and healthy. Mrs E was in her mid 30’s when she was admitted to Askham. She suffered a Stroke whilst 39 weeks pregnant – absolutely the last thing that she or her partner were expecting and a devastating blow for this new family. There are two main types of stroke. One is caused by a blocked blood vessel in the brain – it’s called an Ischaemic Stroke and is also referred to as a clot. The second is caused by bleeding in or around the brain – this is called a Haemorrhagic Stroke and is often called a bleed. In both cases, when the flow of blood to any part of the brain is interrupted, brain cells are deprived of the oxygen and nutrients which they need. Some brain cells become damaged and others die. 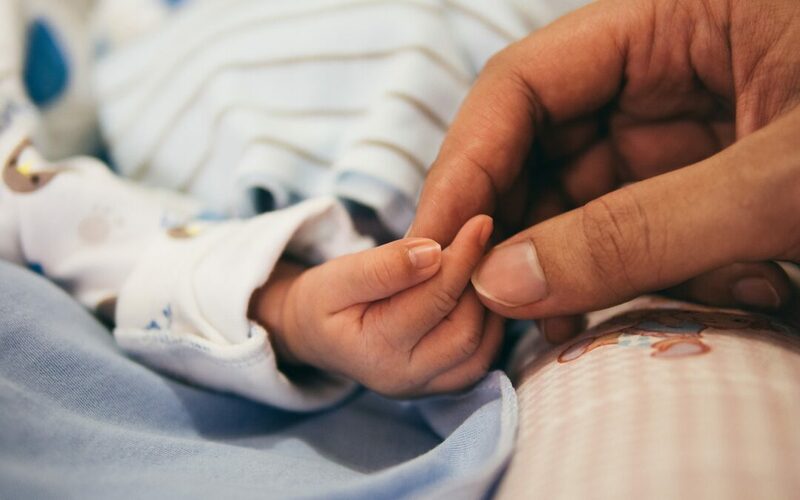 Mrs E’s baby was subsequently delivered by emergency C-section and she was admitted to Askham Court for a period of 12 weeks’ rehabilitation under the care and supervision of our expert Multi-Disciplinary Team (MDT). Together with Mrs E, her partner and family, our MDT organised a bespoke package of mixed therapy which included physiotherapy, hydrotherapy, occupational therapy, speech and language therapy and psychology. Our combined goal was to empower Mrs E to regain her strength, co-ordination and communication skills, so that she could safely interact with her new baby. The effect of a Stroke on a person depends on which part of the brain has been affected and how much damage has been caused. This is why no two Stroke victims are the same and why recovery is so variable. Strokes can cause major and minor disabilities. There are 1.2million Stroke survivors in the UK, half of whom have a disability as a direct result of their Stroke. The brain has two sides, so depending on which side of the brain is affected, the symptoms will be exhibited on the opposite side of the body. Stroke can affect walking, talking, speech, balance, co-ordination, vision, spatial awareness, swallowing, bladder and bowel control. At Askham we have decades of experience helping Stroke survivors with rehabilitation based on their personal presenting symptoms, circumstances, needs and goals. On admission to Askham Court, Mrs E was unable to weight bare, and could only verbalise two words, due to severe jargon aphasia. She was experiencing right-sided weakness, had difficulty communicating basic needs and required assistance for all aspects of personal care. At the end of Mrs E’s period of rehabilitation at Askham Village Community, Mrs E is now able to walk independently with a walking stick, complete the majority of her personal care independently, verbalise approximately 20 words in a structured setting and effectively communicate using aids such as a whiteboard and mobile phone. 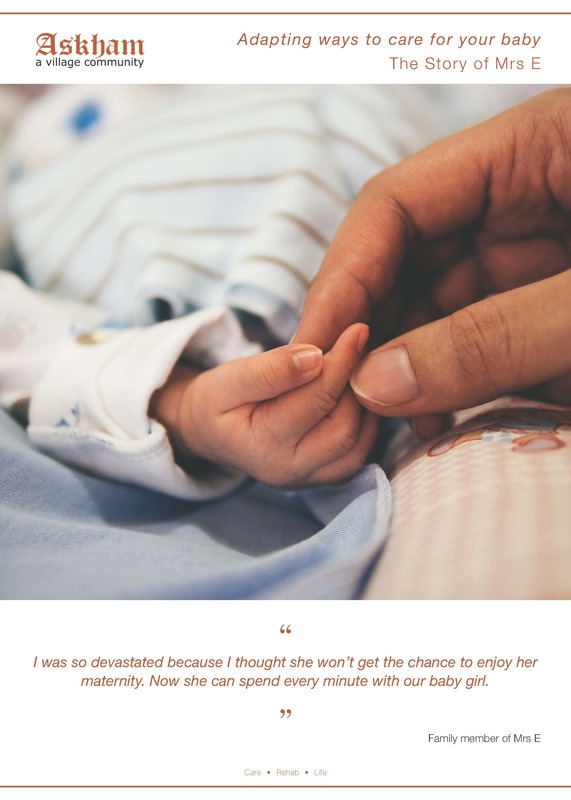 Mrs E also has some range and movement in her right arm, and is able to interact with her baby and adapt ways to care for her such as changing her nappy and feeding. With the continued support of our MDT and thanks to her own determination, Mrs E began showing independence in other areas too, being able to do the washing up and watering the plants around Askham Court – something she had previously enjoyed doing at home. Towards the end of her 12-week stay with us, Mrs E went out on day trips shopping, sailing and to the cinema with assistance and was able to confidently buy items in a shop. We are incredibly pleased and proud that Mrs E has now returned home with her partner and baby, receiving support from a personal assistant during partners working hours. To read about more amazing achievements of our residents please visit our website.